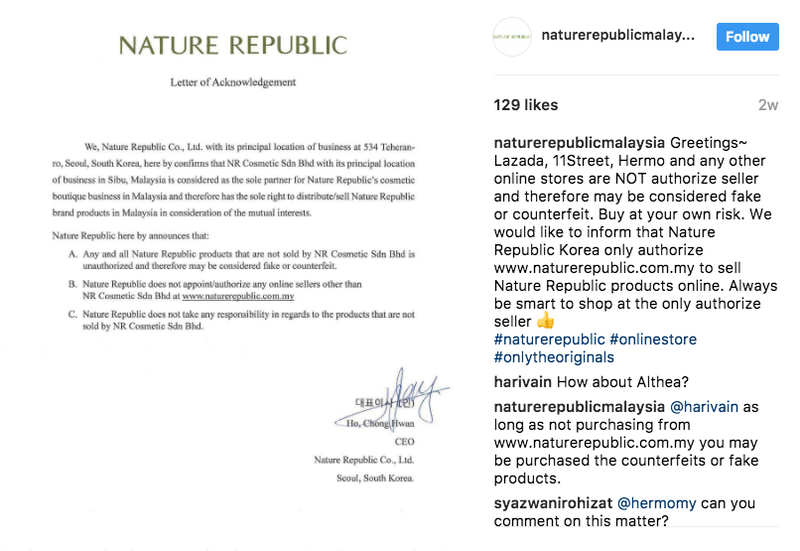 "Lazada, 11Street, Hermo and any other online stores are NOT authorize seller and therefore may be considered fake or counterfeit. Buy at your own risk. We would like to inform that Nature Republic Korea only authorize www.naturerepublic.com.my to sell Nature Republic products online. 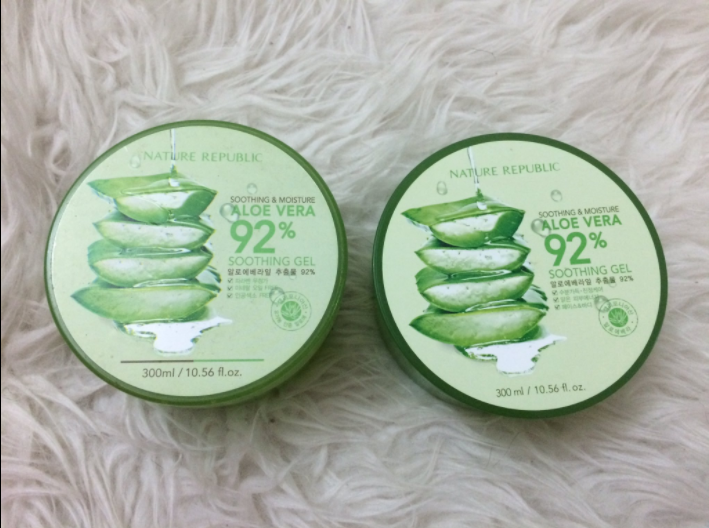 Always be smart to shop at the only authorize seller 👍 #naturerepublic #onlinestore #onlytheoriginals"
Last year I bought the famous Nature Republic Aloe Vera Gel (Review: NATURE REPUBLIC ALOE VERA 92% SOOTHING GEL) from Althea. 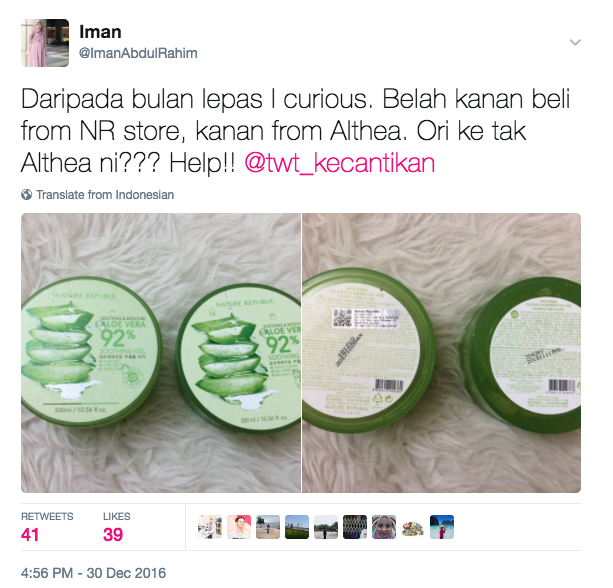 My haul here: Althea Haul! 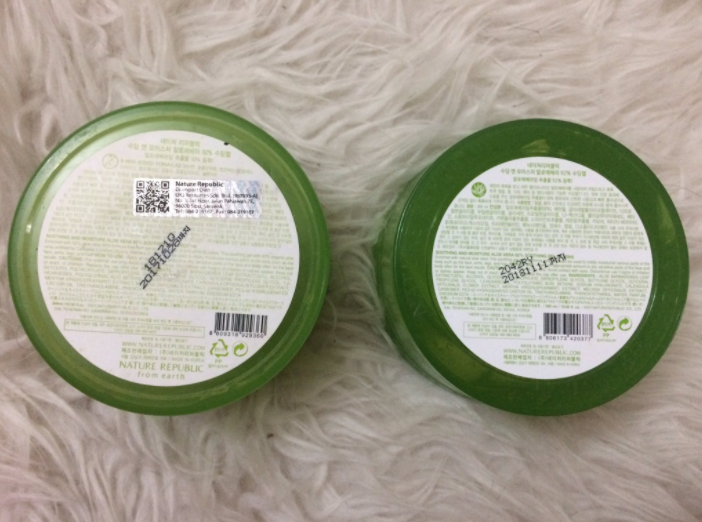 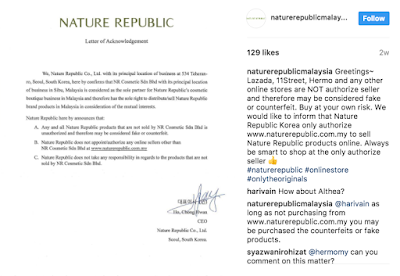 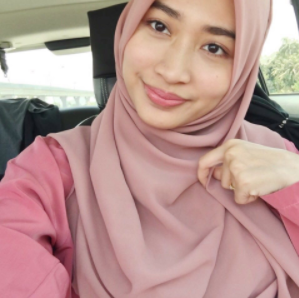 Tapi packaging yang beli dari Althea dengan packaging yang beli dari Nature Republic punya store, lain. Hence, the tweet. 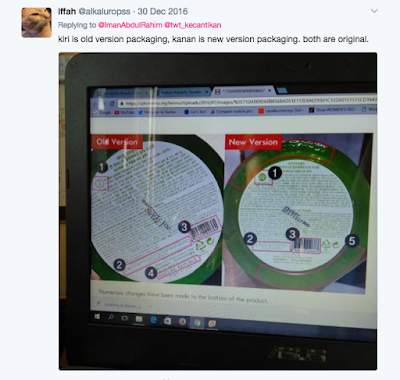 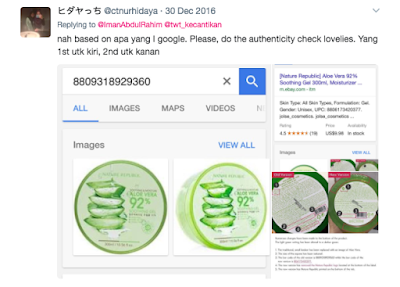 Ada yang cakap tak ori, ada yang cakap tu new packaging. 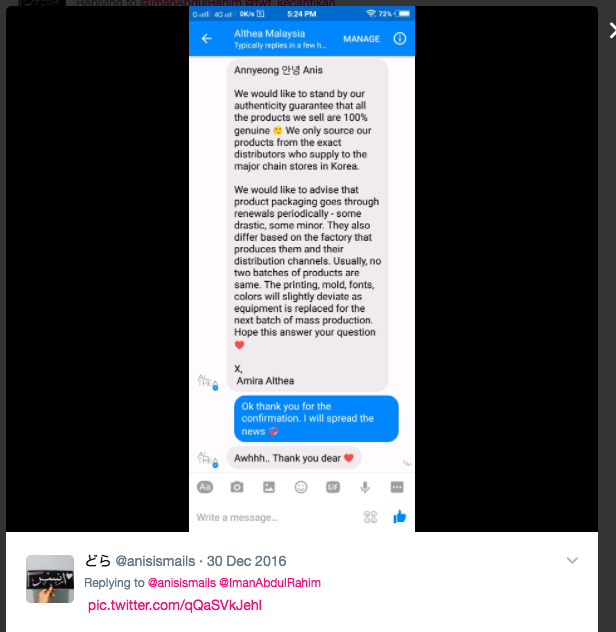 Okay let's email Althea! 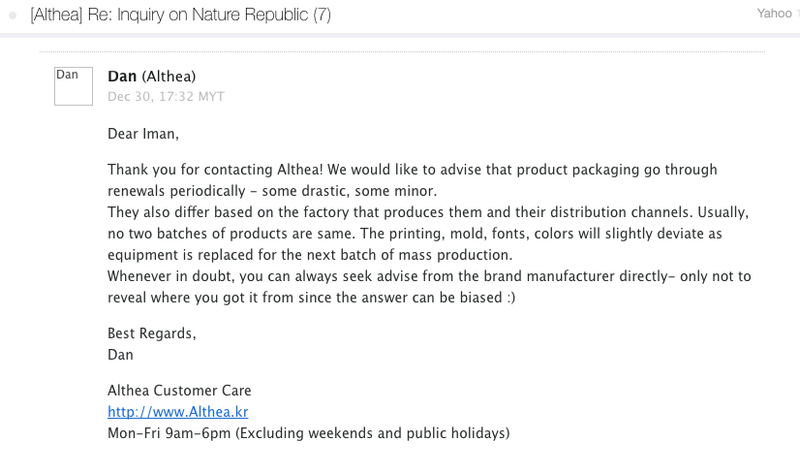 "We would like to advise that product packaging go through renewals periodically - some drastic, some minor. 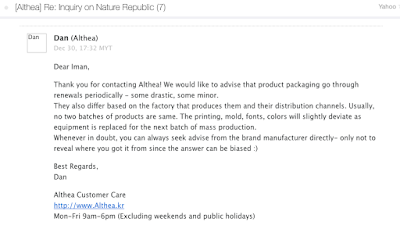 They also differ based on the factory that produces them and their distribution channels. 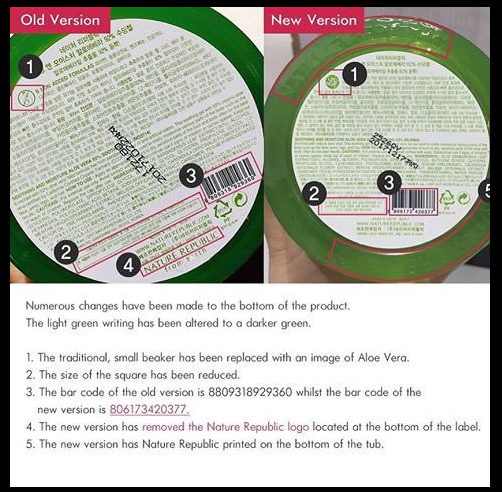 Usually, no two batches of products are same. The printing, mold, fonts, colors will slightly deviate as equipment is replaced for the next batch of mass production." Maybe it's from the different batch kan, so packaging pun lain lah. 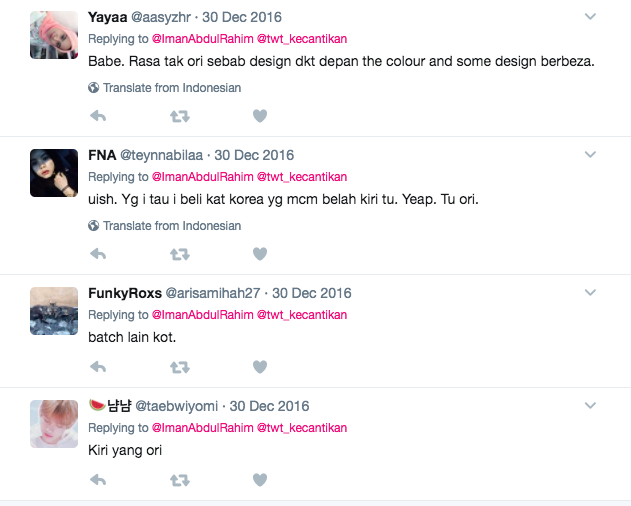 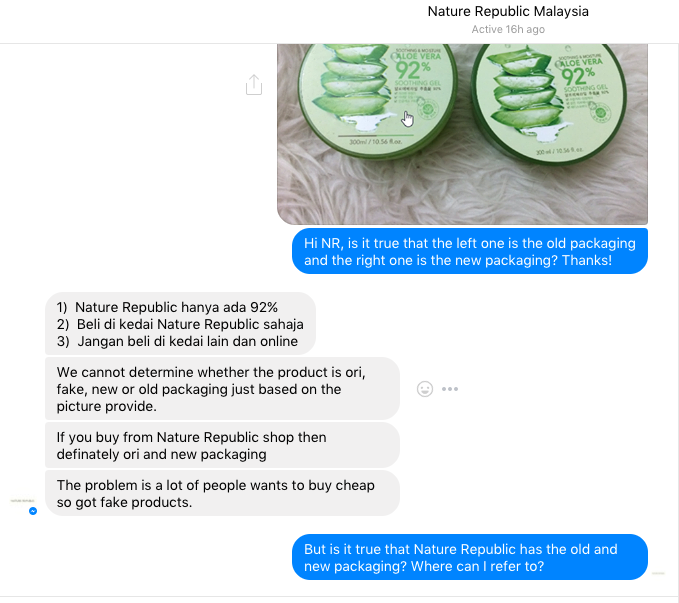 Bila tanya betul ke ada packaging baru dengan lama, dah tak reply and tak tahu nak refer dekat mana.